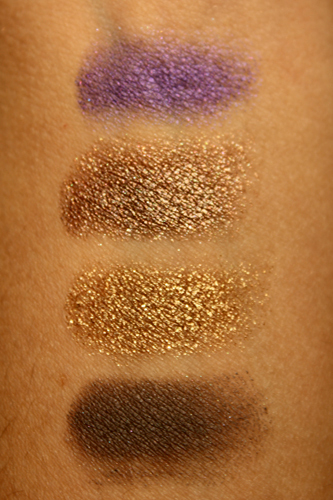 Over the last few weeks I've been going back to Shopper's to collect more and more of the Color Tattoo creme shadows. My first one was Tough as Taupe and I loved it. 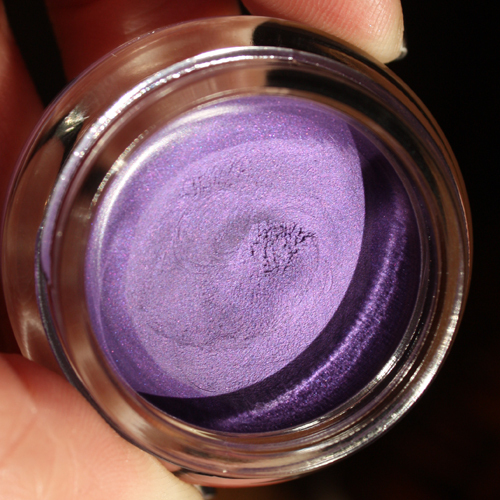 They're extremely amazing; pigmented, creamy, and they really do last an extremely long amount of time. 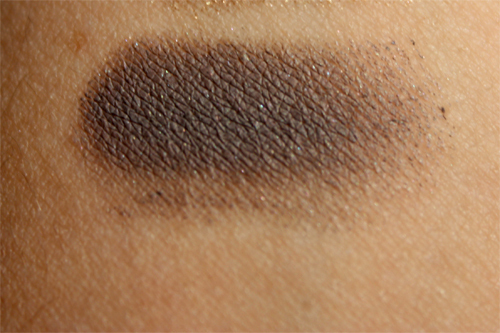 Without a base underneath, the do not crease, even not being set with a powder eyeshadow. I proceeded the next two weeks to go back twice more to get Bold Gold, Bad to the Bronze and Painted Purple. 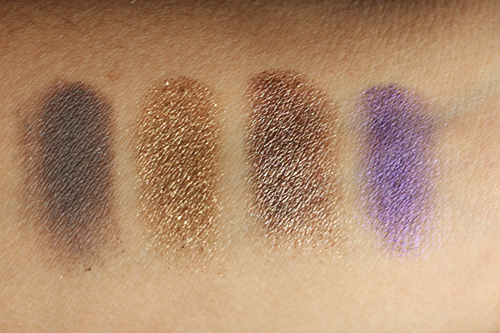 I've heard the Painted Purple is a disappointment but I could really use a purple base, so I'm going to deal with the poor pigmentation in comparison to the other three. 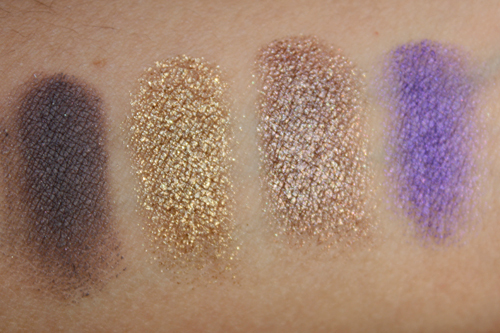 Here are swatches of all four colours. 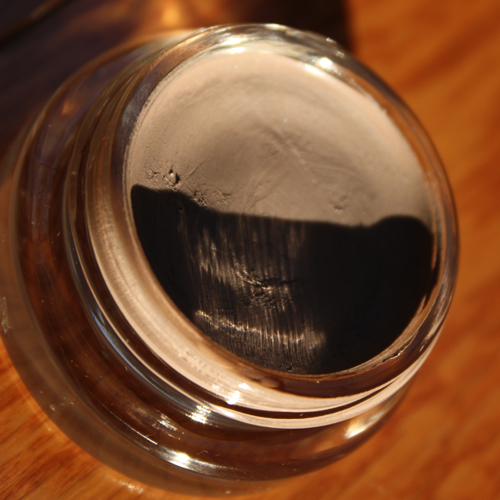 Tough as Taupe is an extremely pigmented very grey taupe colour; it's perfect as a base in a taupe-toned eye look. 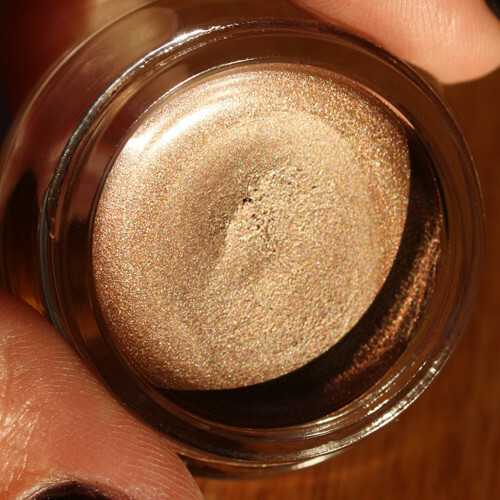 This one is particularly creamy and pigmented and you can rub it after you put it on and it will not come off. These are amazing. 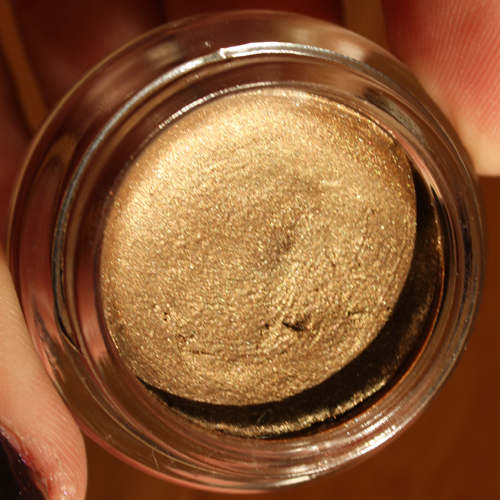 Bold Gold is a yellow-gold shimmery colour; the shimmery colours tend to need a bit more patience to get the opaqueness as amazing as the matte ones, but it is really beautiful. 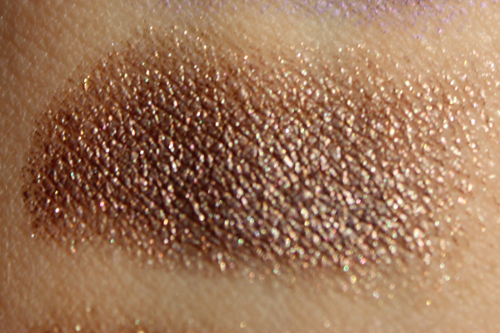 It has gorgeous glitter in it. Bad to the Bronze (awesome name!) 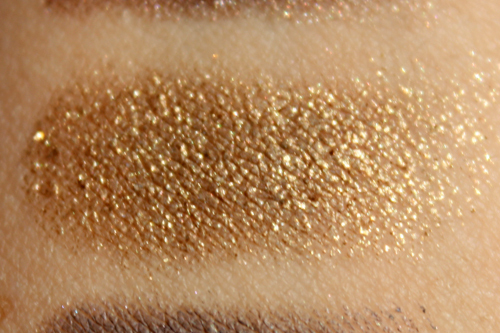 is a brown based bronze, again extremely gorgeous shimmer. Very smooth and perfect for a neutral look. Painted Purple in the jar is a vibrant purple grape colour which would be absolutely extraordinary if it was opaque; but the colour really does not come out opaque at all. 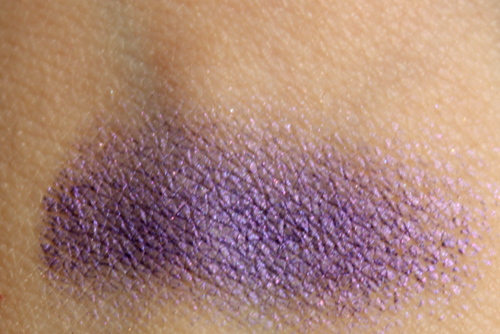 The swatch is two coats and is still not as opaque as I'd like it to be. 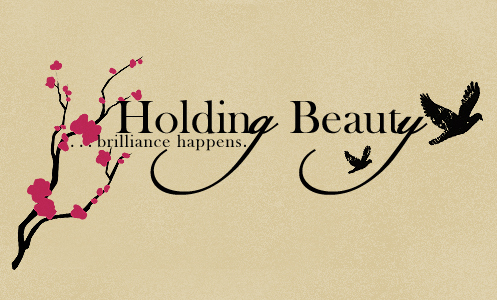 Beautiful colour non-the-less. Have you tried these yet? Which ones do you love and which ones disappoint? How do you plan on using them? As shadows themselves or as a base?